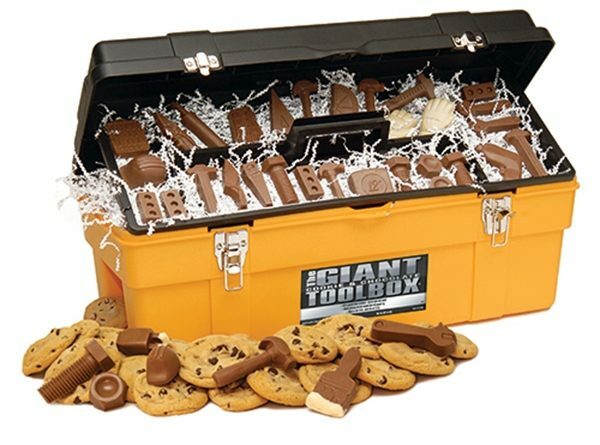 The Giant Yellow Chocolate Tools And Gourmet Cookie Toolbox is filled with over 2 lbs. of chocolate tools of the trade and 8 lbs. of chocolate chip cookies. This giant toolbox measures 24 inches and is filled to the brim! A great corporate gift for the entire office staff. Say thank you, happy holidays or just because to your favorite clients and customers. 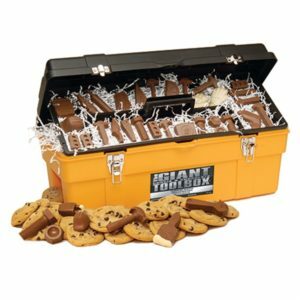 Customize this toolbox with your logo and personalized gift message. 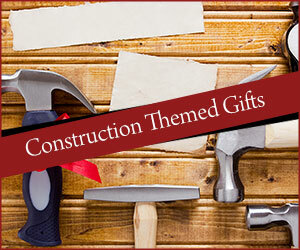 A great way to represent any contractor, builder or construction company.